*Price per User for quantities 5-24 Quantity must be 5 or greater. *Price per User for quantities 25-49 Quantity must be 25 or greater. *Price per User for quantities 50-99 Quantity must be 50 or greater. The real-time dashboard enables administrators to monitor usage of risky applications, track user activity, transaction volume and location from which the application is being used. The solution ensures safe adoption of SaaS applications without impacting employee productivity. SonicWALL Cloud App Security delivers next-gen security for SaaS applications such as Office 365 and G Suite, protecting email, data and user credentials from advanced threats while ensuring compliance in the cloud. If you are moving to the cloud, SonicWALL provides best-in-class APIbased security with low TCO, minimal deployment overhead and a seamless user experience. Visibility: Identify all the cloud services (both sanctioned and unsanctioned) used by an organization's employees. This includes visibility of east-west traffic (cloudto-cloud) as users can authenticate to unsanctioned apps using sanctioned IT such as Office 365. Next-Gen Email Security: As email becomes the most popular SaaS app used, protecting this popular threat vector is key for SaaS security. The solution includes attachment sandboxing, advanced URL protection and Business Email Compromise (BEC) protection. 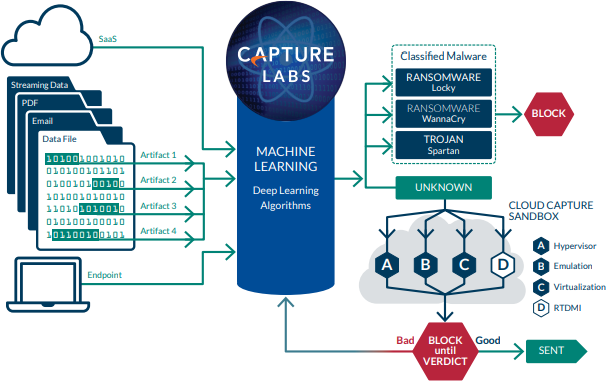 Advanced Threat Protection: Prevent malware propagation through apps such as OneDrive, Box and Dropbox with real-time anti-virus scanning for known threats and Capture ATP sandboxing for zero-days and unknown threats. Data Security: Enforce data-centric security policies by offering granular access controls and preventing upload of sensitive or confidential files. The solution incorporates role-based policy tools, data classification, and loss prevention technologies to monitor user activity and block, or limit access. Compliance: The solution collects extensive audit trail of every action, including real-time and historical events, and provides simple DLP templates to enforce policy controls and regulatory compliance in real time. 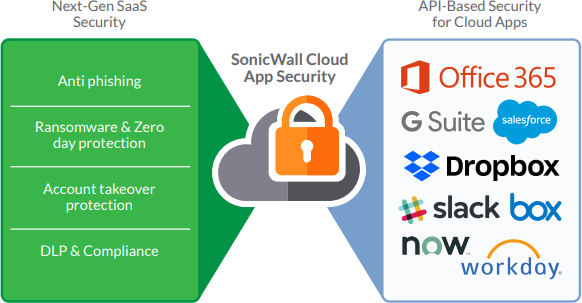 SonicWALL Cloud App Security is a cloud native security service architected using the capture cloud platform and delivered through Capture Security Center. SonicWALL's Capture Cloud Platform delivers cloud-based threat prevention and network management plus reporting and analytics for organizations of any size. The platform consolidates threat intelligence gathered from multiple sources including our award-winning multi-engine network sandboxing service, Capture Advanced Threat Protection, as well as more than 1 million SonicWALL sensors located around the globe. 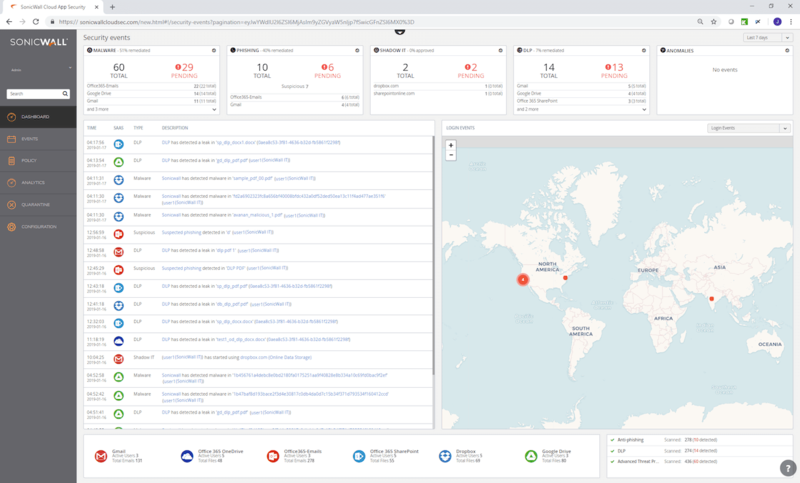 And Capture Security Center provides a single pane of glass management and administrators can easily create both real-time and historical reports on network and cloud activity. 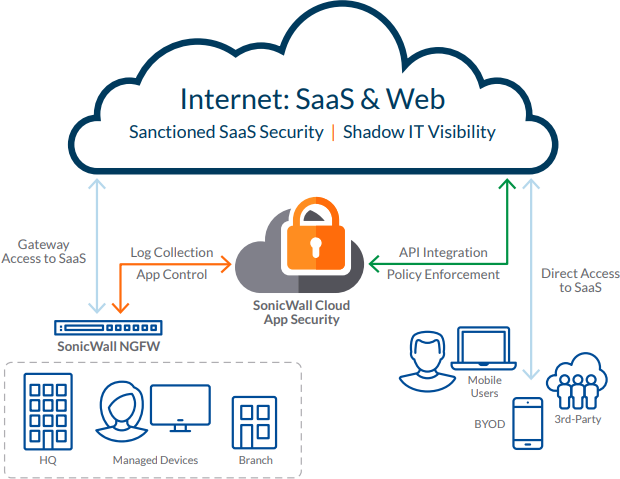 To protect SaaS applications, SonicWALL Cloud App Security leverages SonicWALL Capture Cloud Platform, which combines the global security intelligence of the Capture Threat Network and the advanced threat prevention of the multi-engine Capture ATP sandbox. This approach enables SonicWALL to extend our real-time automated breach prevention capabilities into the SaaS environments, empowering organizations to move to the cloud. 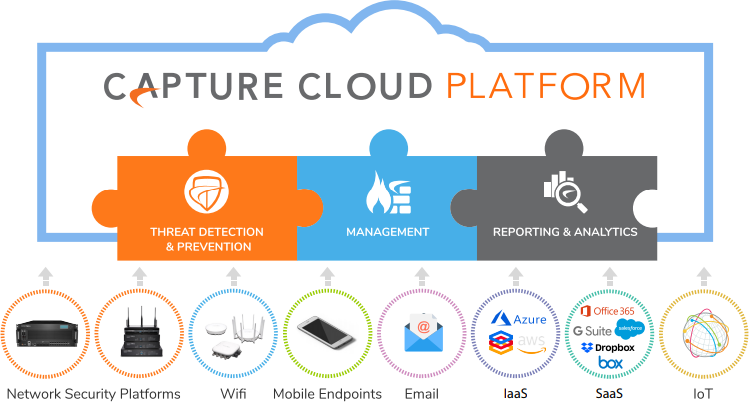 Native APIs directly integrate with cloud services enabling the solution to scan files in apps such as OneDrive or Dropbox using Capture ATP service with Real-Time Deep Memory Inspection™ (RTDMI™), stopping ransomware and zero-days from entering the network. *Price per User for quantities 100-249 Quantity must be 100 or greater. *Price per User for quantities 250-499 Quantity must be 250 or greater. *Price per User for quantities 500-999 Quantity must be 500 or greater.